Dr. Wainer's Pantry by Fondo di Toscana at 365 Days Of Kindness. Hurry! Limited time offer. Offer valid only while supplies last. We've put together all of the favorites from our entire line of specialty foods to create a basket that will satisfy any connoisseur of fine foods. 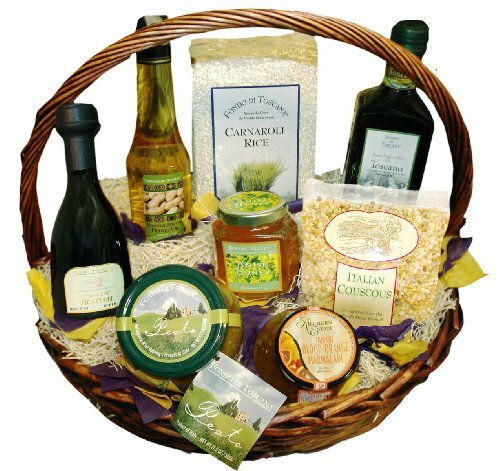 We've put together all of the favorites from our entire line of specialty foods to create a basket that will satisfy any connoisseur of fine foods. From across the spectrum, this basket combines the talents of artisans from around the world and pantry staples fro every food lover. You won't find a finer collection than Dr. Wainer's Pantry. If you have any questions about this product by Fondo di Toscana, contact us by completing and submitting the form below. If you are looking for a specif part number, please include it with your message.